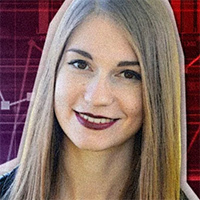 Cardano Price Analysis 2019 – How Long Will It Take ADA to Reach $1.30? Why Should Investors Keep Tabs on ADA? Cardano price analysis 2019 by crypto experts – Is it possible to hit the $1 mark again? 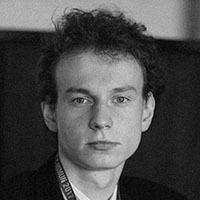 What will make Cardano grow? Providing the advantages of both Ethereum and Bitcoin, Cardano has gained a good reputation and now is the 11th world cryptocurrency that’s waiting for a bull run to gain in price. Is it realistic for ADA to climb from the current price of $0.04 to its previous record of $1.30 and higher within a year? Here’s what forecasts state. The crypto market is witnessing an uptrend: cryptocurrencies seem to have started recovering from the crypto winter and strengthening their position. ADA reached its maximum in January 2018 when its price got to $1.30 – an enormous jump back then. Is there any chance for it to repeat the success? According to 30rates.com, ADA will be steadily climbing up and reach the price of $0.55 in March 2019. It’s far from the $1 target but seems to be realistic. Pedro Bernardo, an author from Oracletimes.com, is convinced that ADA will reach at least $1.50 by the end of 2019. The growth will be driven by Cardano implementation in Japan: they want to install Cardano-powered ATMs accepting fiat currency in exchange for ADA tokens. Aamir Kapoor from the Theoofy.com website has his own view of Cardano’s future. He suggests that ADA will hit the $1 value in early 2019 and easily reach $1.32. Considering the fact that Cardano is popular among investors and is now used for dApp creation, it provides a superb technology. Besides, the developers of the Trezor hardware wallet have announced they’re going to include ADA support soon. According to longforecast.com, Cardano’s projection for 2019 is $1.89. It’s based on technical analysis. However, not all calculations are the same. For example, the Wallet Investor technical analysis website is less optimistic: it states that ADA is expected to fall to $0.0139 by the end of this year, which makes it a bad investment. As usual, Smartereum.com remains one of the most optimistic prediction sources: it states that Cardano might reach $10 in 2019. Vitalik Buterin, CEO and founder of Ethereum, doubts that the crypto market will ever witness 1,000% growth as we saw earlier. However, a 100% price boost within the following month is still possible. Use of the Haskell programming language for building blocks is considered to be a very secure practice. Ease of use. Cardano offers its own wallet called Daedalus. It provides a way better experience and offers wallet addresses that can be readable for humans. Cardano plans to install ATMs around the world, starting with Japan. Cardano aims to make minimal transaction fees even for complicated smart contracts. Instead of improving the system by so-called ‘hard forks’, Cardano developers plan to upgrade the system with soft forks instead. Those are backward-compatible updates, so users can decide whether they want to leverage them. Cardano works in conjunction with such organizations as the Input Output Hong Kong (IOHK) technology engineering company and Emurgo (it will help to integrate the Cardano blockchain in businesses). Thus, Cardano has the chance to reach the $1 mark and move further. Right now, it may be the right choice for investors, though they shouldn’t expect overwhelming 1000% gains just yet. 🚀 19th April XRP/USD Ripple Price Prediction 💎 Bitcoin Price Technical Analysis: Sail to $5,900 on Elliot Waves. Time to Buy BTC? 💎 TOP 3 Price Predictions: Bitcoin (BTC), Ethereum (ETH), Ripple (XRP) — Should Buyers Fix Their Profit or Not Yet?